Home to a wide range of free corpus-based word lists and tools for second language learners developed by Dr. Charles Browne, Dr. Brent Culligan and Joe Phillips. 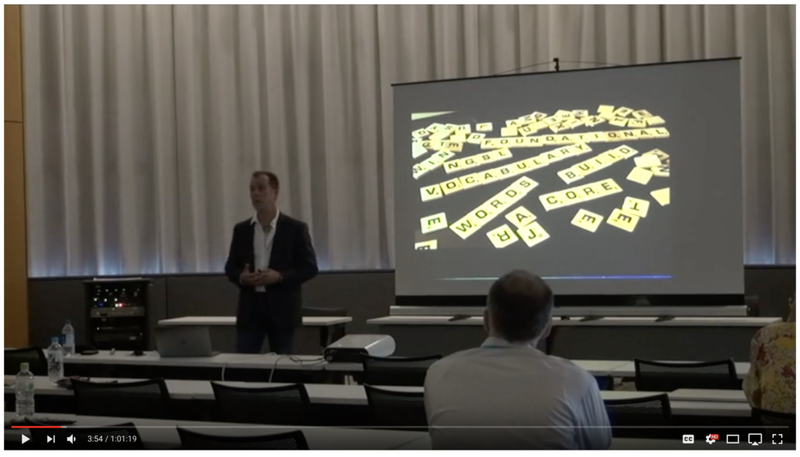 Low res and a bit long, but for those who are interested, here is a link to the plenary I gave on the BSL at the 3rd annual JALT BizComSIG Conference last weekend. 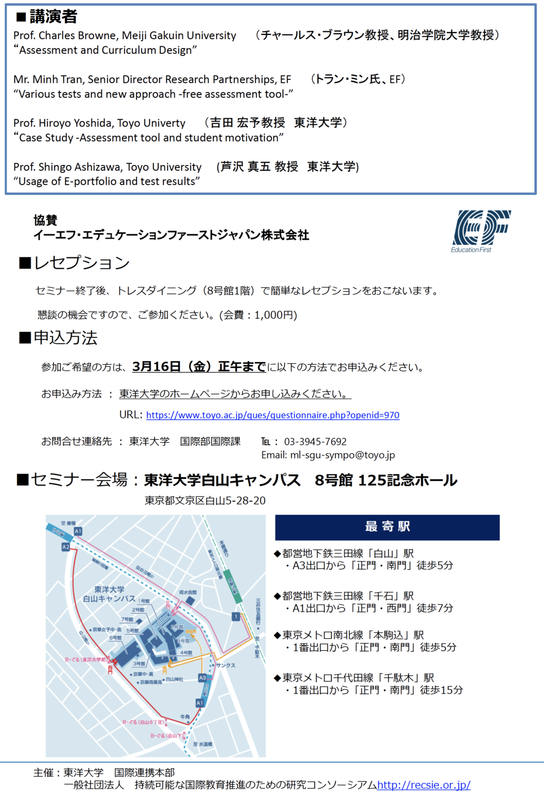 There is a great JALT BizComSIG Conference coming up which will be held at Toyo University on Sept 8 and 9. I will do one of the plenaries, introducing our free Business Service List (BSL) of high frequency business vocabulary, which, when learned together with our free NGSL core vocabulary word list, offers 97% coverage for most general business texts, reading materials aand webpages. 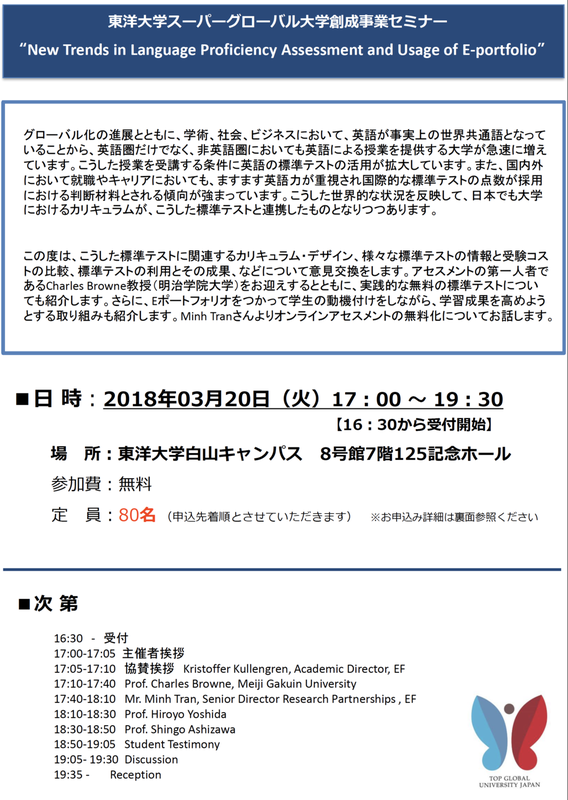 Link to conference is here (https://sites.google.com/view/jalt-bizcom-sig/2018-conference). Come join us for a day of discussing top notch vocabulary research including presentations on the New General Service List and associated SP word lists, test and tools. In addition to two symposia on corpus linguistics and testing, there will also be a wide range of topics covered in the poster sessions. Please consider presenting or attending. Hope to see you there! The NGSL-S is a list of the most frequent words of spoken English which occur in the spoken sub-corpora of the NGSL. The 1.0 version was published in 2013 giving 90% coverage with 822 words. The 1.2 version which we uploaded to the site this morning, gives 90% coverage with 721 words. A link to the NGSL-S page is here. Like all our lists, they are open-source and free to use as long as you cite us properly. Free downloadable include alphabetized, lemmatized and frequency-ranked versions of the list. Definitions for all words in easy English is also provided. More information about the 4 corpus-based NGSL, NAWL, TSL and BSL word lists developed by Browne, Culligan and Phillips can be found here. Someone at Cengage publishing saw my TED Talk on the NGSL and asked if I would be willing to do a brief video introduction to the NGSL as part of a textbook series that teaches English through TED Talks. My small part was in chapter focusing on Ann Curzan's excellent talk on "What Makes a Word Real?". Fun job! Does Paul Raine ever sleep? Seems almost every day I open my computer he’s created yet another set of useful online tools for students and teachers, but even by his own standards this latest release is astonishing – he’s just added to the free Quizlet.com flashcard website studiable versions of our NGSL (New General Service List), NAWL (New Academic Word List) and TSL (TOEIC Service Lists) in, wait for it….. SIXTEEN different languages! Great work Paul – THANKS! For those of you who are using EnglishCentral's excellent website to help your students learn vocabulary through contextualised authentic videos, I've just been informed that the NGSL and NAWL just went live as studiable courses, with the TSL and BSL almost ready to go as well. For all of you vocabulary researchers out there, the JALT Vocabulary SIG wishes to announce an extension of the deadline to apply for a SIG grant. The new deadline is December 15. The grants may be used for either research or for conference-related expenses for a vocabulary-related presentation, and are in the amount of either 50,000 or 100,000 yen. Further details can be found at: http://jaltvocab.weebly.com/grants.html. Very happy to see that in addition to being of use to thousands of students and teachers around the world, the NGSL is also receiving growing attention from corpus linguists and vocabulary researchers. 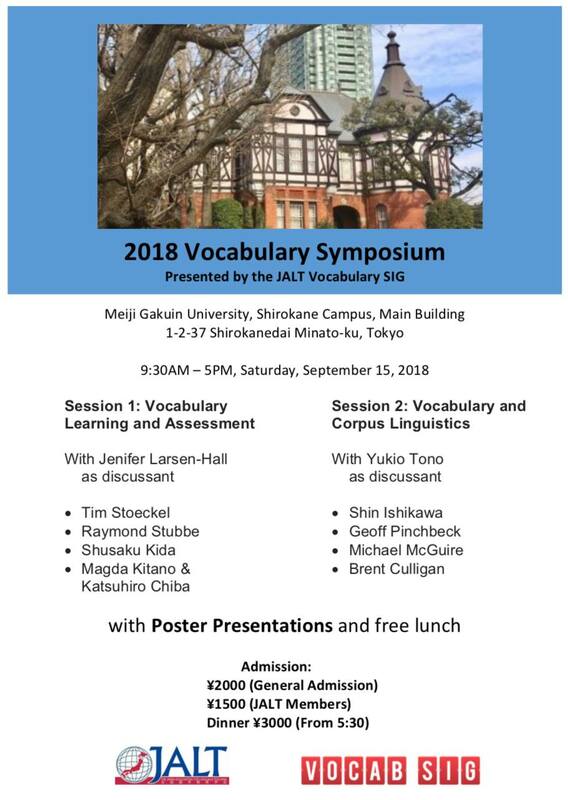 A quick scan of abstracts for next month's Vocab@Tokyo Conference shows that there will be at least 7 presentations where the NGSL is a major part of the research presented. 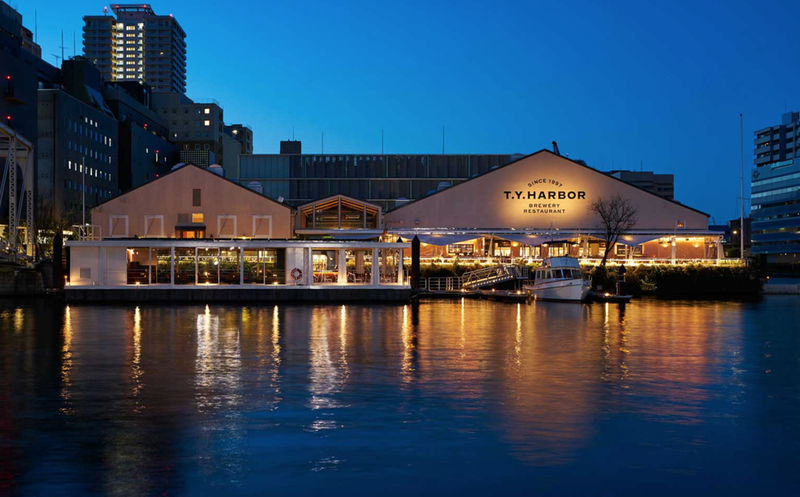 Vocab@Tokyo Conference & Tokyo Bay Dinner Just a Few Weeks Away! Our New Business Service List (BSL) Launched! TOEIC Service List now up on Memrise with Japanese Definitions! TOEIC Word List Now Available! Today I am doing a plenary at a conference in Taiwan to debut a new word list called the TOEIC Service List, or TSL (Browne, C. & Culligan, B., 2016). The 1200 words of the TSL when learned together with the 2800 words of the NGSL offer up to 99% coverage of reading and listening passages on the TOEIC test. 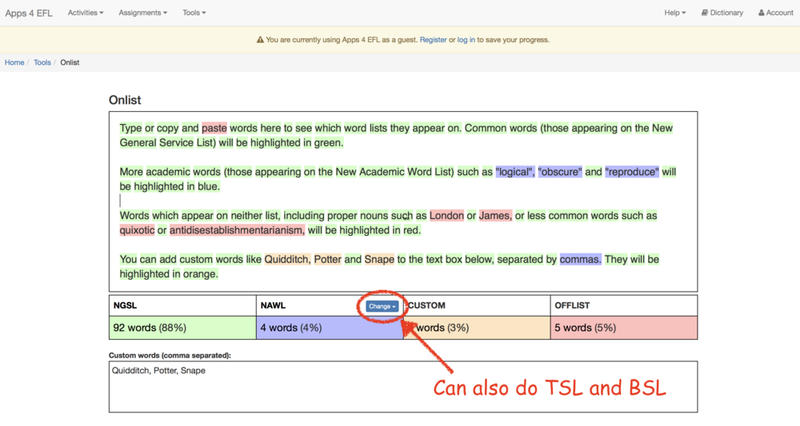 Like with the NGSL and NAWL, we are creating as many free online tools as possible to help teachers, students, researchers and materials writers better utilize the TSL. Visit the NGSL website to see what resources are there. Enjoy! Example sentences and translations for the NGSL in 12 languages!